Great Performances: "Irving Berlin's Holiday Inn- The Broadway Musical"
The cast of "Irving Berlin's Holiday Inn - The Broadway Musical." Enjoy the hit Broadway adaptation of the classic 1942 movie musical, showcasing an Irving Berlin score including the Oscar-winning "White Christmas" with big dance numbers, comedy and a hit parade of the great songwriter's famous tunes. 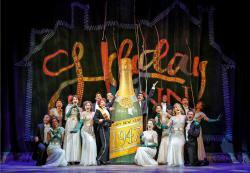 The Roundabout Theatre Company performs Irving Berlin's Holiday Inn. The musical, directed by Gordon Greenberg and choreographed by Denis Jones, with music and lyrics by Irving Berlin. Inspired by the Academy Award-winning film “Holiday Inn” (1942) starring Fred Astaire and Bing Crosby. 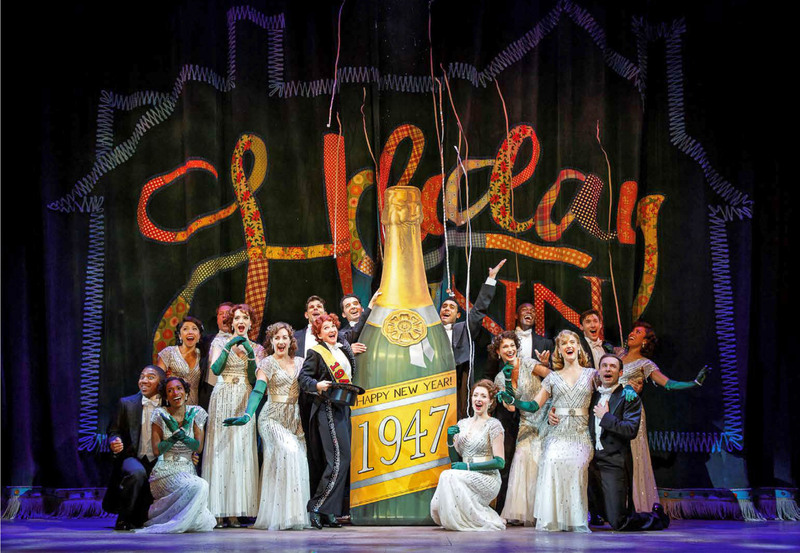 Great Performances: Irving Berlin's Holiday Inn- The Broadway Musical airs Monday, December 24, 2018 at 9 p.m. on WXXI-TV. Holiday Inn tells the story of Jim, who leaves the bright lights of Broadway—as well as his fiancé dance partner Lila—to settle down at an old farmhouse in Connecticut … but life just isn’t the same without a bit of song and dance. Jim’s luck takes a turn for the better when he meets Linda, a spirited schoolteacher with talent to spare. Together they turn the farmhouse into a seasonal inn with show-stopping performances to celebrate each holiday, from Thanksgiving to the Fourth of July. But when Jim’s best friend, Ted, tries to lure Linda away to be his new dance partner in Hollywood, will Jim be able to salvage his latest chance at love?